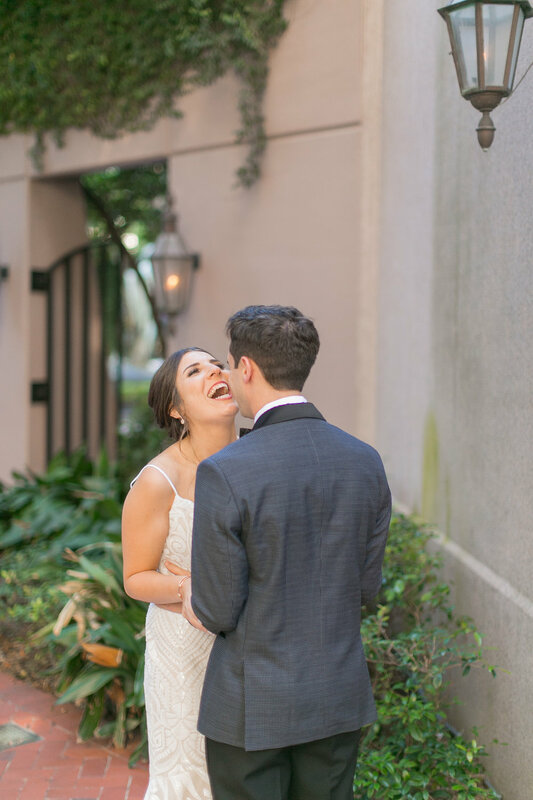 Carolyn and Alex tied the knot in a classic New Orleans styled wedding at the Windsor Court Hotel. We were so happy to be able to share in the excitement of their special day. Arte de Vie Photography never fails at capturing the most special moments between the couple throughout their wedding day. It was a ridiculously beautiful day in the beginning of September. Alex texted me, "It's beautiful out, let's do a picnic at The Fly instead of cooking dinner." When I came back from my workout class, Alex told me I probably would be hot in leggings ( so we could take a picture) and really wanted to bring his cooler backpack (to carry the ring in). We went to Whole Foods and Alex picked out a bottle of sparkling rose, cheese, crackers, and Chantilly cake. When we got to The Fly Alex drove all the way to end so it would just be the two of us. As the sun was setting he asked me if I would be his wife. I said "are you joking?" Then gave him the biggest kiss and we continued eating cheese. Carolyn and Alex prepared for their big day at the Windsor Court Hotel with the wedding party. Carolyn and her bridal party enjoyed the day in pajamas from Kohl’s. A day in pajamas is always a good day! Karen and Puckett with Verde Beauty Studio worked their magic on this gorgeous bridal party! Carolyn gifted her bridesmaids with necklaces with their initials on them from Trendz. Alex gave his groomsmen a whiskey glass with the map of New Orleans from Fleurty Girl. We wanted a venue where we could have both our ceremony and reception. The Windsor Court always makes us feel special so we couldn't imagine how special we would feel on our wedding day. Our ceremony was written from scratch by our officiant who is a great friend. We wrote our vows, marriage blessing, and met with our officiant several times to include stories of when we first started dating. 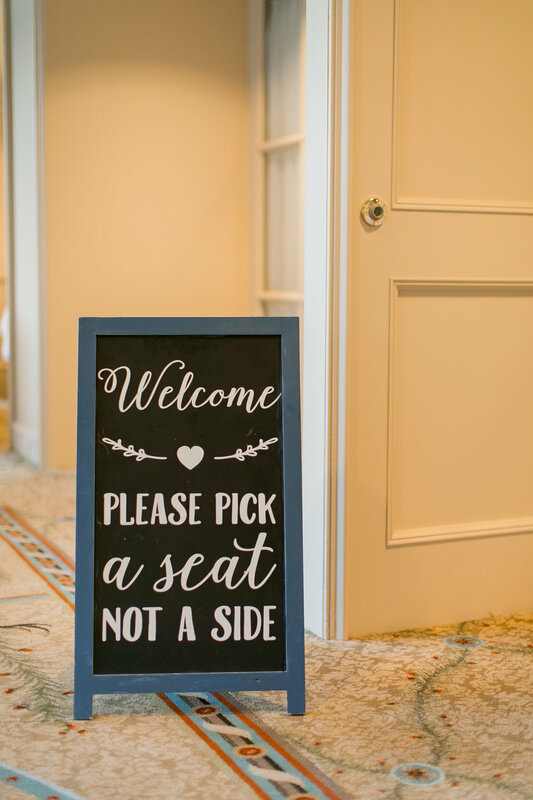 Everything at our wedding was personalized. 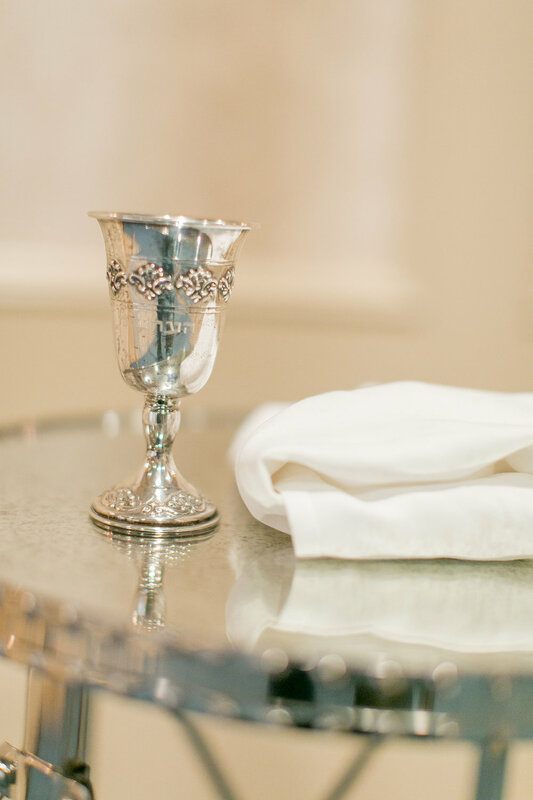 In was important to our families and to us to incorporate Jewish traditions throughout the wedding. We had a Ketubah ceremony before our actually ceremony with our extended family and danced the Hora during our reception. Alex's family has a tradition of taking a family shot of tequila during the reception so of course we incorporated that. Only you know if something doesn't go exactly right. I was freaking out right before the second line because the route got changed but no one else knew the route we were supposed to go on. Carolyn wore a beautiful Hayley Paige gown that she purchased from Lotus Bridal in New York. She accented her gown with Kendra Scott earrings and necklace. 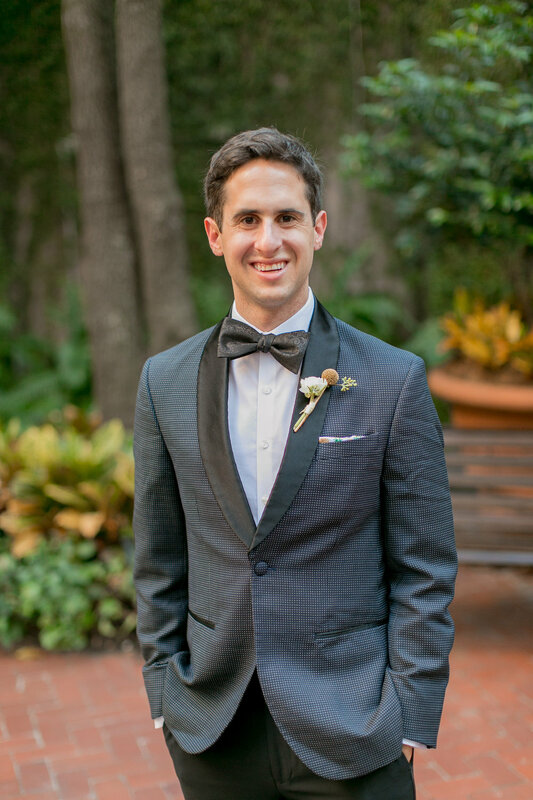 Alex wore a black tux from The Black Tux which was also purchases from Lotus Bridal. Enjoy the process! The wedding night goes by in a flash. Some of my favorite memories from my wedding are all the little moments leading up to it- meeting Alex in the middle of the day to go look at venues, getting my nails done with my bridesmaids, and just hanging out in the hotel with all the out of town guests. Make your entire engagement a celebration!